1618 Cullom St S, Birmingham, AL.| MLS# 810811 | Richard Jacks UABLIVING.com 205-910-2297 | Birmingham AL Real Estate | Contact us to request more information about our Homes for Sale in the Birmingham AL area. 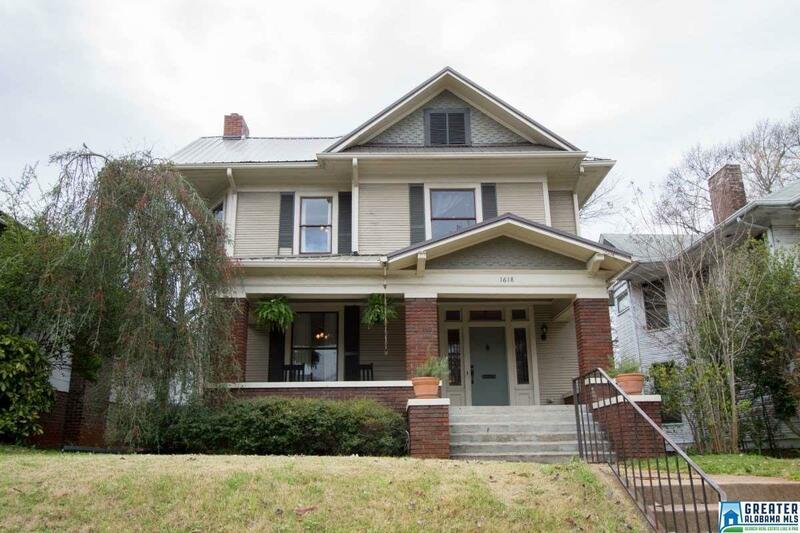 This renovated 3 BR / 2BA will celebrate its 100th anniversary in two years. Walk up your steps and feel free to linger in the rocking chair on your spacious front porch. When walking through the front door, you may forget to turn on the lights because of all the natural light. Sit on the window seat with your favorite book nestled between 10 ft built in bookcases or cozy up in the living room by the wood burning fireplace. For your next dinner party, invite a crowd because the living room, dining room, and kitchen are huge. If you prefer a more intimate gathering, close the original 8 ft pocket doors for a more secluded feel. Don't worry about meal time. This is the BEST kitchen in southside! With access to gas and electric ovens, you can cook anything! A huge island gives your guests a place to sit as the meal is being prepared. Meal prep will be a breeze because of all the granite counter space, cabinet storage, and two sinks. There's plenty of room for outdoor entertaining as well. Driving Directions: Heading North On I-65 Take Exit 258 Towards Green Spring Avenue.go East On Green Springs Ave For Approximately 1.2 Miles.green Springs Avenue Will Change Into 11th Place South.go 350 Ft And Turn Right On To 17th Avenue South Take The Next Left On To Cullom Street South.